At Finn Franchise Brokers, we’re not business brokers who also sell franchises, we’re franchise specialists. Since the firm was founded in 2004, our brokers have been selling franchises all over the country and learning the ins and outs of the market. With more than a decade in the franchise selling business, we’ve become the go-to firm for selling franchises. When it comes to franchise sales, nobody does it better than Finn. With offices all over the country and more than 50,000 registered buyers, it’s no wonder why we’re the favourite choice for so many people. However, what truly sets us apart as a franchise brokerage firm is the fact that we’re just that: franchise brokers. Everybody in the franchising industry knows that it takes special knowledge to effectively sell franchises, and that’s why we’re here. With a deep understanding of franchise selling, we provide you with a worry-free process as we handle every single detail of selling your franchise. From getting the franchisor’s approval to closing the deal, we’ve got you covered. Our Buyer’s Advocate Service utilises the deep knowledge Finn Franchise Brokers has built up over the years to help you achieve your desired results. •Guide you through the negotiation process. •Ensure a fair outcome for everyone involved in the sale. Accurately estimating the value of a franchise requires a person who truly understands this business model. With more than a decade of successfully buying and selling franchises, we understand the franchise business more than anyone. Having a logic-backed price is an essential part of successful deal negotiations. With the justified, accurate appraisals of our team, you’ll be able to negotiate a better price. When it comes to finding international franchise buyers, our massive network makes all the difference. 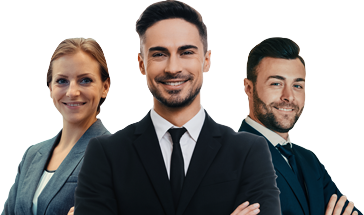 Being Australia’s largest business broker network and well-versed in different Australian visa requirements provides us with a continuous stream of international buyers. If you’re looking for an international buyer for your business, we can find you one in a relatively short period of time. 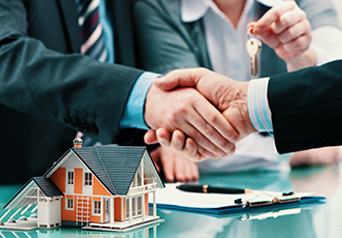 Being experts in franchise buying and selling, we take the speculation out of your buying process. Having our professionals by your side help you go through the entire process with great confidence. With our vast network of franchisees and franchisors give us an inside access to franchises that are about to go on the market as well as silent listings. The Finn Selling System is Australia’s most powerful franchise selling system. Why not take advantage of that? Asides from having a database of 50,000 buyers and generating 1,200 new buyer enquiries per month, our selling system is powered by an innovative marketing strategy that puts us ahead of any competition. Using a combination of cutting-edge technologies and traditional methods, our marketing system helps us find the best buyers for your franchise.